A fantastic couple of days on the Patch. 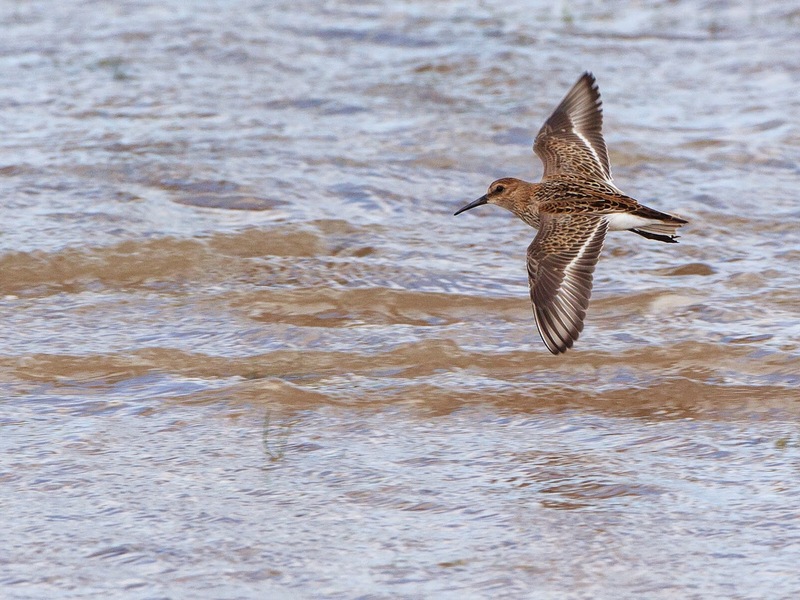 Waders are back in force and I have been there in the thick of it, braving the tail end of the ex-hurricane that has blasted over the Dee. 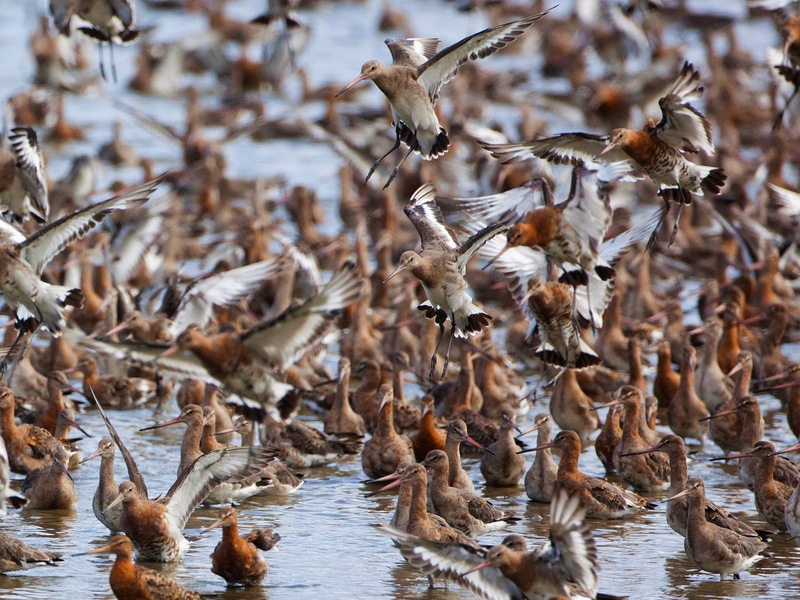 This has made the tides higher and the birdwatching hotter. 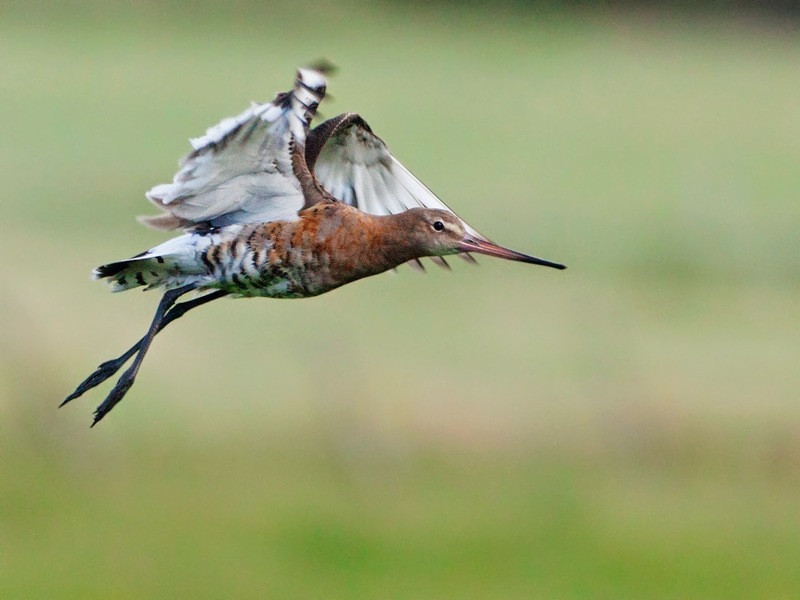 Gilroy has been exceptional too, Blackwits in abundance, colour ring sightings continue to mount up and together with some like minded pals much data on arrival and numbers of juvenile birds has collected. The pool is frantic with the king of shorebirds. With so many birds crowding the pool it has been tricky to count them and find ringed birds but time spent with these birds is time well spent. From the shelter of Gilroy to the shore at Hoylake. 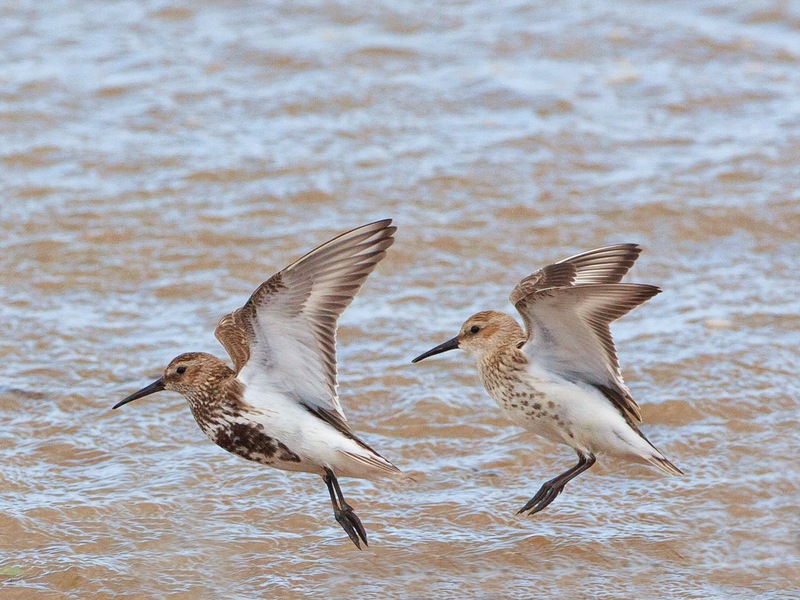 Autumn passage is in full swing, Dunlin, Ringed Plover and Sanderling are zooming through. 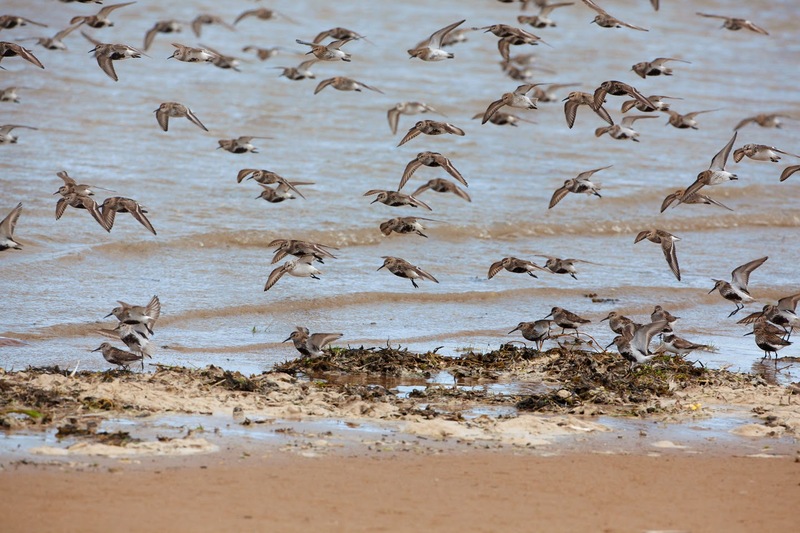 The flock in flight over the sands is a welcome sight after their absence for the breeding season. ...and found. Ringed in Spain, this Dunlin will surly be headed back there for the winter, just a fleeting visit to the muddy banks of the Dee. The birds are on edge, even pigeons seem to startle them. As they fly up in alarm I try to isolate one for a flight shot. 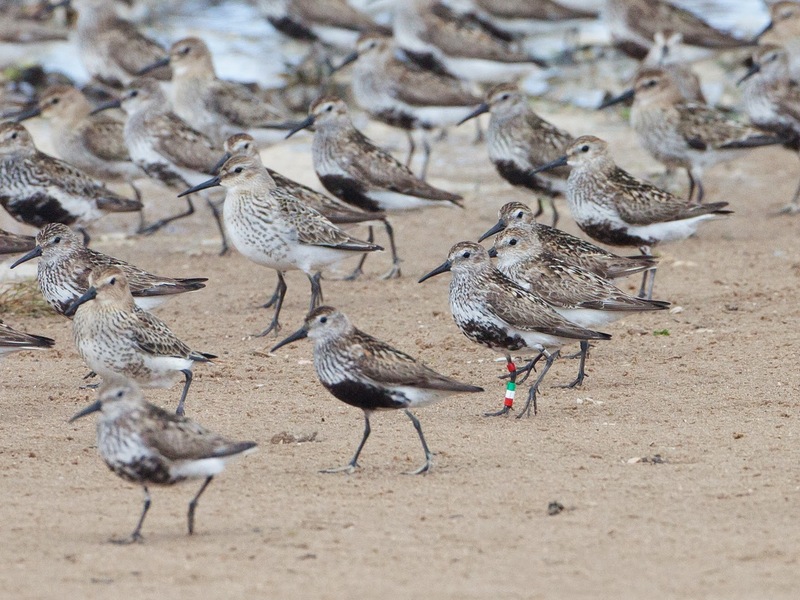 I get a countdown of Dunlin. 3 in flight. Then finally a straggler lagging behind the flock.